Osprey Cottage01263 715779work01603 870304fax Self-cateringThis brilliant cottage has been newly built in the traditional Norfolk style. With spacious accommodation, comfortable furniture, modern utilities and a pleasant character, this property is perfect for groups and families. Only four miles from the beach, guests can also enjoy the selection of countryside walks that weave through the surrounding area. A modern house built in traditional Norfolk style. 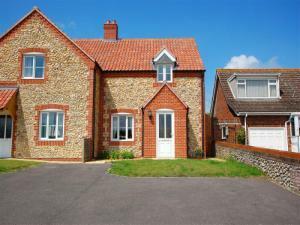 This brilliant cottage has been newly built in the traditional Norfolk style. With spacious accommodation, comfortable furniture, modern utilities and a pleasant character, this property is perfect for groups and families. Only four miles from the beach, guests can also enjoy the selection of countryside walks that weave through the surrounding area.